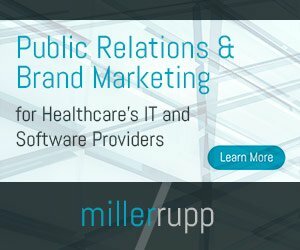 What does “patient engagement” mean in the current age of health IT? Given the recent proposed rules by CMS that tell the sector that all data generated by a patient in the care spectrum is their information, has much changed since the term took roost in healthcare several years ago? What is its catalyst in the current healthcare economy? The patient engagement concept seems pretty easy to grasp: Getting a patient to pay close attention to their personal health and to stay active in the maintenance of it. Patients who are more involved in their personal care are healthier overall compared to patients who are not. While easy to define, patient engagement in dictionary terms, in real-world practicality, appears to be another thing altogether. 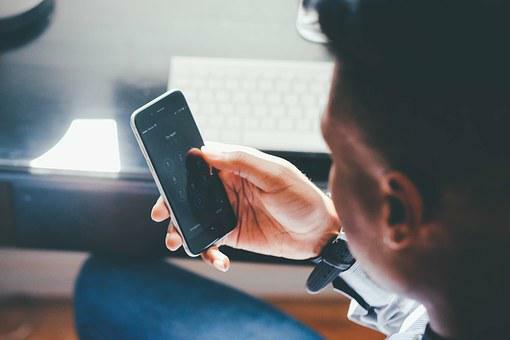 When thinking about patient engagement, many conjure up ideas of technology that interfaces with a patient who then uses said technology to accomplish some lofty goal set forth by the provider, the technology maker and even regulators. The technology might be some form of telehealth, for example. The technology might be vitals analytics or even smart devices, like watches and other wearables that track a patient’s movements and progress toward some pre-determined goal. When the patient engagement movement caught fire, patient portals were the vehicles that were supposed to capture our (read: patients, consumers) attention. While the capabilities of such sites are vastly more developed than they were in their infancy at the start of the current decade, patients didn’t find much joy in using the portals for bill pay and scheduling. Also, there was no advocacy like the current CMS patient information ruling that allowed patients to easily take ownership of their health data through them. Patient engagement today is not much different than what it has always been, it seems. Per HIMSS (in or about 2017) patient engagement is: “Providers and patients working together to improve health. A patient’s greater engagement in healthcare contributes to improved health outcomes, and information technologies can support engagement. Patients want to be engaged in their healthcare decision-making process, and those who are engaged as decision-makers in their care tend to be healthier and have better outcomes.” Or, pretty much the same definition as listed at the start of this piece. Sure, data is one of the key components of patient engagement, but the patient is the heart of the matter. The data they generate, and own, comes about through their own personal experience in and outside the point of care. “When that translates to a more delightful user experience, or a more efficient hospital visit, patients are more likely to engage in their care, which benefits all,” Garg said. While healthcare leaders attempt to define the terms and how to best lasso or corral it in tangible terms (so as to produce desired outcomes) healthcare’s struggle of understanding the current definition of the term might be missing a broader point. Patient engagement conversations usually degenerate into technology and system applications and how these can be placed into patient/consumer hands. Alternatively, consumers tend to seek, discover and use technology that they feel betters, enhances or improves their lives. Non-healthcare technologies developed for consumers seem to take a consumer-based approach driven by what might best attract a consumer’s attentions rather than the approach of pushing some piece of technology to consumers that might get used if pushed hard enough. In 2006, FreeMap Israel was founded and developed with the crowd sourcing assistance of community users, a free digital database of the map of Israel in Hebrew, and to ensure its free content, update and distribution. In 2008, Waze was launched commercially. In December 2011, Waze employed 80 people, composed of 70 at Ra’anana, Israel, and 10 in Palo Alto, California. In 2011, the app was updated to display real-time, community-curated points of interest, including local events, such as street fairs and protests. As of January 2012, the app had been downloaded 12 million times worldwide. In July 2012, Waze announced that it had reached 20 million users, half of them recruited in the previous six months. There were nearly 50 million Waze users as of June 2013. In June 2012, Waze launched an update to provide real-time fuel prices. As with all Waze real-time updates, prices are submitted by users. In June 2013, Waze introduced a global localization project that enables future road closures and real-time traffic updates during major events in a given country, for example Tour de France. Waze collects map data, travel times and traffic information from users and transmits it to the Waze server, at no cost to Waze. Waze users (“Wazers”) can report accidents, traffic jams, speed and police traps, and, from the online map editor, can update roads, landmarks, house numbers, etc. Based on the information collected, Waze is then in a position to provide routing and real-time traffic updates. Waze can also identify the cheapest fuel station near a user or along their route, provided Waze has enabled fuel prices for that country. 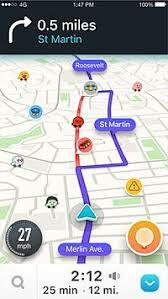 Waze offers turn-by-turn voice navigation, real-time traffic and other location-specific alerts. Waze encourages users to report traffic or road hazards by offering points. Add-ons expand the functions and personalize this interaction with the app. Add-ons can integrate Foursquare and Facebook friends to Waze or notify the user when driving through a high-crime area. In 2017, an option was added for motorcycle users, as well as specialized routes for people eligible to drive in carpool lanes.